Exhibition Laboratory Rembrandt, The Rembrandt House Museum, Amsterdam. How did Rembrandt make his drawings and etchings? And how do we research this today? In the autumn of 2019 the museum will create a laboratory-style space, in which new insights into the way the artist worked will be revealed. Discover how a drawing by Rembrandt has changed over the past centuries, see what someone else added to an etching later, and think about the dilemmas facing researchers and conservators. This exhibition brings the world of research into materials and techniques to life. 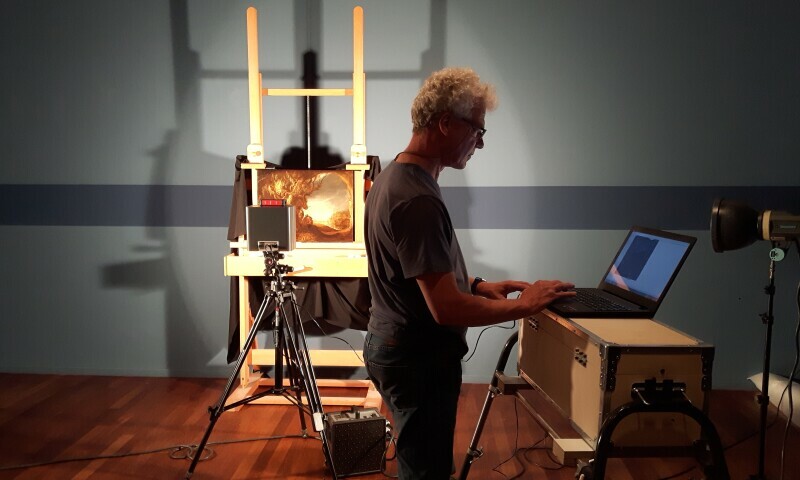 In recent years, several of Rembrandt’s works have been subjected to the most up-to-date research methods by scientists and conservators. This has produced surprising and ground-breaking results. Now visitors will be able to try the research methods and techniques for themselves, in the place where the works of art were created.